Available for the first time since built, this Foxhall beauty is in superb condition, lovingly cared for and ready for her new owners...YOU! Located in the desirable first phase of the conveniently located Foxhall subdivision, just around the corner from the gated entrance and community amenities. 5071 has spacious ground floor living, dining and family areas, half bath as well as a large east facing lakefront screened patio. The second floor contains three generous bedrooms and two baths. The master bath is large and filled with natural light. The home is secure with accordion hurricane shutters, impact rated front door and garage door. AC replaced in 2014, kitchen appliances upgraded in 2013 and XL washer/dryer upgraded in 2015. In a quick 3 minute 1.2 mile drive north......you'll arrive at the new FITTEAM Ball Park of the Palm Beaches. The Spring Training complex for the Houston Astros and Washington Nationals (http://www.fitteamballpark.com/). 5071 is 6.3 miles to Palm Beach International Airport, 6.5 miles to City Place Downtown West Palm Beach, 8 miles to Palm Beach, Worth Avenue and The Breakers Hotel, 34 minutes to Wellington, the polo capital of the world, and 13 minutes to Palm Beach County Convention Center and West Palm Beach Governmental Center. 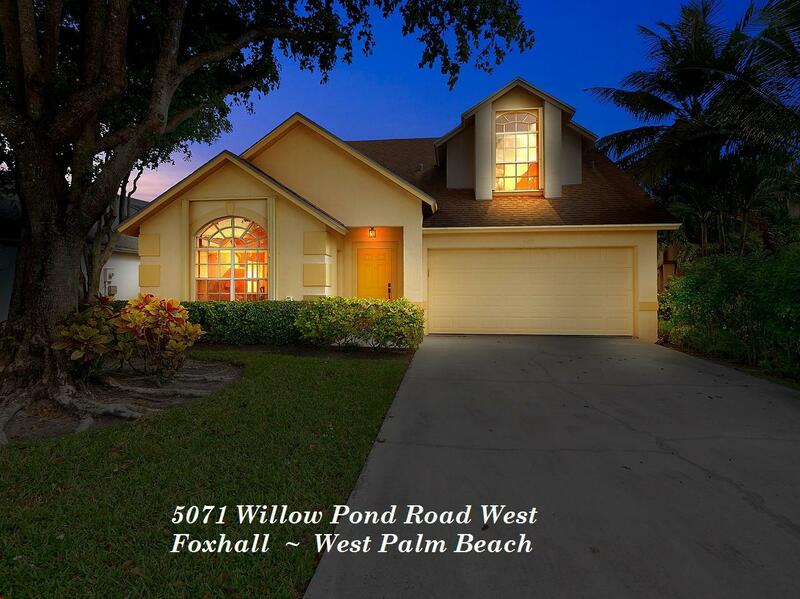 Listing provided courtesy of Palm Beach Brokers Group, Inc.